1. 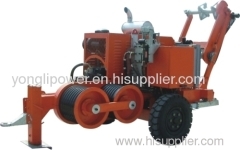 Full electric control engine ,accord with the third phase emission regulations of Europe nonroad mobile machinery . 2. Infinitely variable speed and linepull control ,the pull in the rope can be read on the line pull gauge . 3. 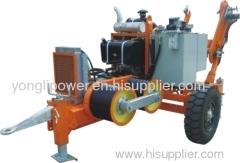 The Max pull for conductor –stringing operation can preset ,automatic overpull protection system . 4. Spring applied –hydraulic released brake acts automatically in case of hydraulic failure to ensure safety . 6. 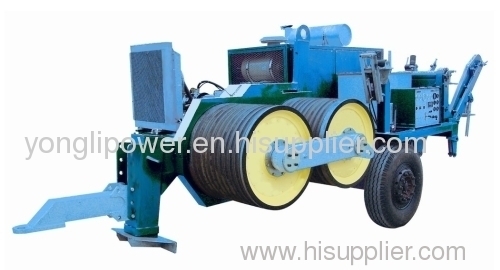 Attached reel winder with automatically level wind .load and unload conveniently .